I hope your week is going well! If you came by looking for NBUS Challenge #8, you'll find it here. I had some time while it poured down rain yesterday to play in a couple of challenges that Hammy put up on the Inspiration Board for this week. The background here is the result of a play I had with Alcoholic Inks and Blending Solution on glossy paper. That part was easy, but then I spent a lot of time moving that die cut around this way and that to find the best place to put it so it didn't cover up too much of the background coolness factor. CAS Mix Up Card Challenge. I used stamping, liquid colors, and die-cutting. Paru's Card Making Challenge: First Anniversary Anything Goes. It was a bit fussy, but the die is so small that it didn't too long to draw on some triangles and then color them with my markers. It took more time to come up with a design for showcasing it! The reindeer die and the NBUS stamp "JOY" are from WPlus9 and the stitched snow hills are from "Stitched Landscapes" by Poppystamps. Merry Monday: Use a Reindeer. Retro Rubber Challenge Blog: Let It Snow. I've had this stamp set for at least two years. It came out in 2010! Simon Says Stamp Monday Challenge: Chill Out. I want to thank all of you for leaving me and the Mister (and me for the other schtuff) so many lovely messages of congratulations! You are the best! MWAH! Remember to contact me if you have any questions or need clarification about NBUS Challenge #8. There are two things that I want to emphasize: a) You can enter the challenge with ANY creation as long as it includes some never-before-used-schtuff (you do NOT need to participate in the optional theme of using colored pencils on kraft), and b) make sure you let me know if you want to be in the drawing for a prize. If you don't say in your comment or after your name in the gallery entry, I'll assume you are playing just for fun! See you in the gallery! These two cards look fabulous, Darnell!! Amazing play with the glossy paper and alcohol inks, your background is adorable! And that colourful mosaic reindeer is so clever!! Great works! LOVE your play with AIs and blending solution. The colours are so gorgeous on your background. And perfect with the die-cut sentiment border. Great design Dolly!! Thanks for sharing with us at CAS Mix Up! PS ... I put a (C) after my name in my entry into NBUS #8 ... I hope that let's you know that if my name comes up in the draw, I would like the Clarity brushes. Thanks so much for this fun challenge and for your generosity with the prizes. Love those yummy colours of your AI panel and your fabulous coloured die cut. I often struggle with putting a design together after playing around with some fun techniques or colouring. What great cards Darnell - love your vibrant reindeer, and you have showed him off to perfection, and Hammy is not to blame for those gorgeous flower brads!! Two cards and both are beautiful in their own way. Great job Darnell!! Oh I do love that alcohol ink background you created, the colours are gorgeous and I think the overlay looks beautiful with the little flower brads too! Two fantastic cards Darnell, I love the top card and the wonderful colourful background that you've achieved. 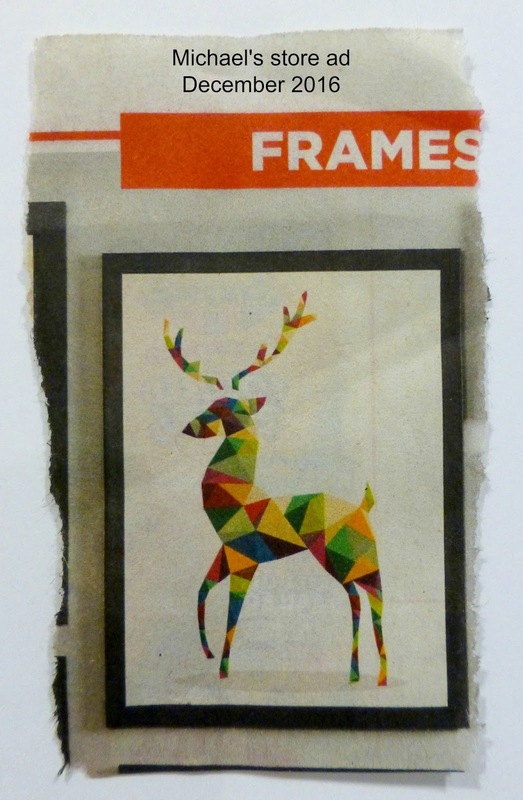 And wow, wow, wow what a gorgeous stag, I love all of the different colours you've used in this. Hi Darnell, I am loving both cards. The deer will come in handy at Christmas. WOW!! Darnell, this Reindeer is amazing, how creative of you to draw all of those teeny, tiny triangles and then painstakingly color them, one by one. When I saw the picture I thought you died cut the Reindeer out of some pattern paper but, as I read on I was totally amazed. Beautiful landscape for your beautiful image, thank you so much for sharing with us at RETRO RUBBER, we always love to see you in the gallery. 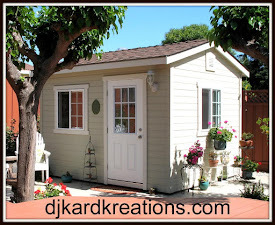 I love that you put your playhouse picture back on the front of your blog. The first card is so pretty. I love the mixture of the alcohol inks. I will say that I laughed because you described the inks as being alchoholic. Not that being an alcoholic is funny. Trust me, I know as my beautiful and wonderful Mother in law was addicted. But she quit. Praise the Lord! So, don't anyone take offense as it wasn't meant to be offensive. Great second card. A lot of work. Love the mosaic look. Oh be still my happy color loving heart! That first card is amazing with all those beautiful colors blending so wonderfully together! Wonderful showcase of the beauty! And that second card...Wow! I am so very impressed. It's a glorious mosaic of color. When you are inspired, you are inspired! That deer is amazing! Thanks so much for sharing, Darnell. Thrilled to see your happy place up top again! :) Hugs!! Love that alcohol ink background, and you were right to leave as much exposed as possible. Your alcohol ink piece is GORGEOUS, my friend! I'd say you found the perfect spot to place the Grand Thank You! I like the brads too so pat Hammie on the back. Thanks so much for sharing this with us at CAS Mix Up! And your reindeer is AMAZING! All those little triangles and beautiful colors! A very creative and artsy reindeer for sure! Two beautiful cards Darnell. Love your bg with the Al inks. So pretty. And that reindeer is so awesome. Great job. I forgot to put a C after my name, but I may try to make another card for your challenge. Have a great day. Another soggy day today. Oh and thanks for joining us this week at Merry Monday. Oh, your AI bg looks great, Darnell and although your sentiment die is quite big you managed to not cover up too much of the loveliness of the bg!!!!!! The colours are simply beautiful!!!! ...and as for Hammy and the flower brads ...maybe you should just ignore Hammy sometimes!!!!! LOL!!!!! Love the matting to really have your bg pop!!!!! And your colourful reindeer is just stunning, Darnell!!!!! I can imagine that it must have been fun to colour it!!!! And you've showcased him perfectly with the snow hills and vellum!!!!! A very unique and such a fabulous card, Darnell!!!!! Both are great looking cards! First i love the alcohol inks but how did you place it on the cardstock? I am trying to visualize it so I can try. I love the deer and the colours of the deer. I love what inspired you and the boldness of it. Great works! Fabulous card and love the colourful reindeer! Now just you tell Hammy from me that I like his idea of using the blue flower brads very much. It's good to see him bringing out his innner self. Love, love, love your harlequin deer. hugs Mrs A.
Wow, Wow, Wow! You have done it Girl! love your card. Darnell, there's such joy in this leaping stag! You chose the perfect sentiment. His bold, cubist patterning is so lovely! He must have been fun to create. I like the clever way you've incorporated the snow in your scene with the dotty embossing and the stitched hills. Thanks so much for joining us at Retro Rubber this week. Just adore your mosaic reindeer, Darnell - so unique and I love how you were inspired!! That alcohol ink thank you card looks amazing too!! 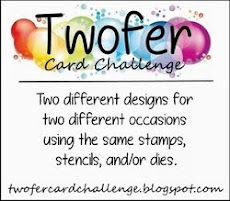 These two cards look fabulous, Darnell and the Alcoholic Ink background is really pretty. 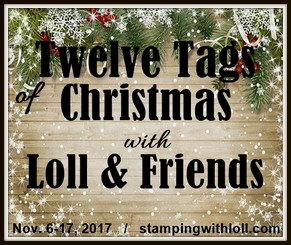 Your alcohol ink background is stunning and the card is beautiful, and the reindeer is fabulous, I like the multicolored look, I think you will get a lot of use out of that die! I love these cards. Cool color indeed and your cards as a result are down right purty too! Thanks for sharing. That reindeer one you really captured the inspirational photo with your colorful design. I thought I was the only one who got inspired by ads, even those I see on TV sometimes. Wow! Lots of vibrant colour today - very cheery for me to look at as it's a grey day here! I'm so impressed that you drew all those tiny triangles and then coloured them - beautiful!! Oh Darnell! I just love both your cards. So colorful and fun! Gorgeous cards! That reindeer is fantastic, practically a replica of the Michael's ad! I always love coming to your blog to see what you have made for us at Retro Rubber. This card is genius! I love everything about it. I do want to ask if you want to be considered as one of our Top Picks to add how long you have had the stamp you used. This is something we look for when choosing our winners. Thank you for playing along with us at Retro Rubber and hope you will be back in our gallery again soon. First of all, don't you just love alcohol inks...they make such beautiful backgrounds...as evidenced by that stunning card. Lucky me, I got stunned again by that deer you doodled and colored. You certainly got terrific mileage from Michael's ade. Both of your cards are fabulous, and I must say you did a wonderful job re-creating that reindeer. The detailing in the colors are spectacular. Two wonderful creation and the background on the first card is stunning and such a fabulous take on the original image on the second card. Totally love these two cards. I agree! Color is cool. :-) Both cards are fabulous. Hi Darnell! Isn't it fun to create neat backgrounds on glossy paper with alcohol inks? That was one of my first experiments while learning to papercraft. Love the reindeer! You have more patience than I! Sorry I've been absent for a while -- been dealing with a virus of some sort. what a perfect pair of cards! The colors on the first card are calling my name - it's gorgeous! And then there's that one of a kind reindeer you colored! Simply fabulous!! If only I had alcohol inks. That is such a cool background, Darnell. And that deer. I'd say you recreated it beautifully. Your creativity knows no bounds, Darnell! Both your cards today are beautiful and unique. Well you are crafty and your creation so colorful. That is very eye catching and oh so cool! Gorgeous alcohol ink background for your new die cut sentiment. TFS and joining us at CAS Mix Up my friend. Wow Darnell, I'm not sure which card impresses me more because they're both so creative and full of color! Drawing triangles on that little deer die cut and then coloring them doesn't sound very easy to me but you rocked it! I withdrew my card from NBUS as I realised that doh! I had not coloured on kraft - but I see you are now saying that is optional. So I will reinstate my original post which linked up. Both of your cards are stunning hun - oooo what a great idea for the Thank You card and i'm loving your funky reindeer too. I am following you hun, and your blog comes up on my reading list, but just doesn't show up on my front page, sorry about that i will try and sort it out, but i'm not very tech friendly ! Both cards are gorgeous Darnell. I don't own any alcohol inks or glossy paper to play with them on, so this is fascinating to me to see how it works, and boy they look fabulous together! Such a stunning, slightly northern lights-esque feel to the first card, really beautiful colours and I am glad you managed to keep most of them in view - more things for my list. Now back to your first card. Love your choice of colours for the clean AI background, just perfectly blended! Good job in the design too, well balanced. Two gorgeous cards, Darnell. Love the soft colors of the first and the brads add an extra pop of color. Love both your cards, especially the cool background on your first card. I so love the way your background turned out Darnell! It looks amazing! Thankful for all the rain, can't remember having so much each week. That alcohol ink card is just beautiful with its mix of colors. I love the kindness matters best. Then that reindeer - oh Darnell it is just stunning. What a clever idea to draw the triangles and the colors are beautiful. I thought it was pieced at first. Great job on it. 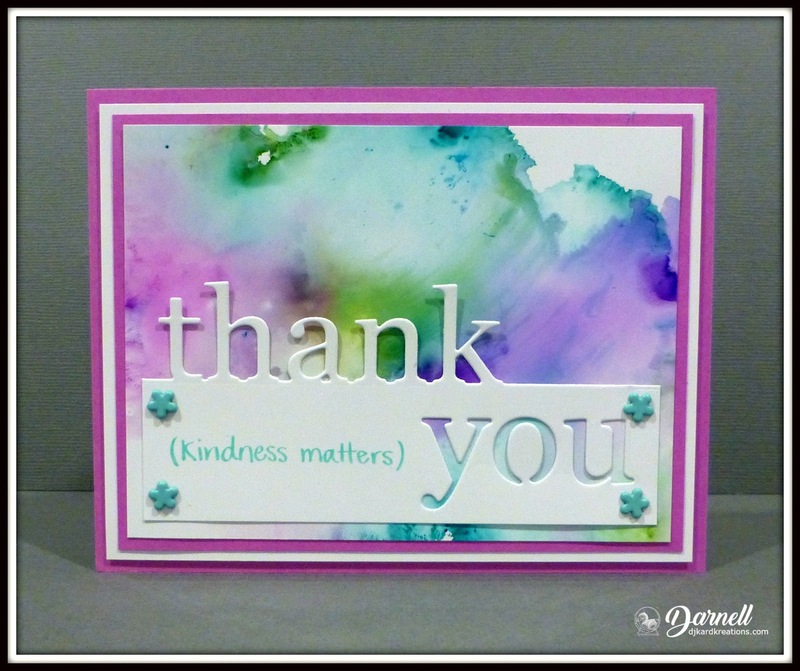 I don't know how you do it, Darnell...running another fabulous challenge, and creating such beautiful cards to share with us! Your watercolored background on the first card is so pretty, and I love how you used the negative for your design! Your 2nd card is so awesome, too...I love how you created the stained glass effect on the deer and that you added texture to the snow hills...so pretty! Oh I am LOVING that background on the first card!! It looks STUNNING!! I also like how you added the kindness matters on it. That second card, though is AMAZING!!! I LOVE that fun reindeer you created. Your inspiration ROCKS!! Marvelous pair of cards Darnell!! Your watercolored background on the first is incredible and that psychedelic deer rocks!! Your colorful cards are both a feast for the eyes! Love the background on the first one and that you pulled out the flower brads! And the artistic and colorful deer jumping through the snowy hills is so fun! Also wanted to compliment you on the blog makeover! Absolutely love the header with your own stunning background and that beautiful tree (isn't Loll the best?)! Great cards Stunning reindeer Darnell . Wow Darnell~ Two fabulous cards!! I love the background colors you achieved on the first card and the deer on the second card....... Amazing!!! Totally in love with both of them! 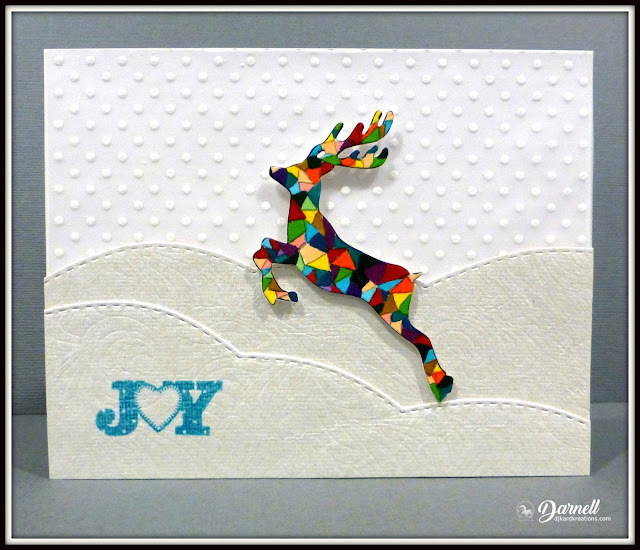 I loved your reindeer card in the Merry Monday Challenge gallery and it was great to read about your inspiration! Gorgeous multi colour reindeer!!! Two happy cards, Darnell. The colorful reindeer is just FABulous... love how you drew the lines and colored the little guy! OOOOOOH, I love inky things and this is GORGEOUS! That's a very colorful reindeer and it isn't even Rudolph! Job well done on casing the ad. Great cards! That deer is really awesome..so creative Darnell! Sooner than you think, actually. I see you've got a NBUS happening. I just played with some NBUS! Stunning cards! I'm swooning over the first one with all the gorgeous color, just love it! And how creative are you with the second.... wonderful! Thanks for the inspiration. Darnell, you just amaze me...that reindeer is fantastic! 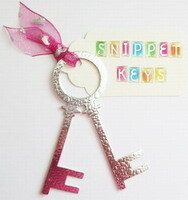 OMG...I need to start opening my eyes and looking at the world and bring it into the craft room! Your card is so cool. Thank you for sharing it at Merry Monday! And WOW your background on the first card is so pretty too...love your color choices and those cool flower brads!! Have a great week! Caught a nasty cold on top of a sore toe...still wobbling around and keeping it above my heart! My backside is getting pretty darn sore!! Both cards are fantastic Darnell, I love that multi-coloured deer. So glad you played along with us for Merry Monday. Your background is superb! Great card, Darnell. Love that snazzy background. I have alcohol inks (nearest I get to alcohol these days lol!) and gloss paper so may have to have a try at this. And as for Joseph and his amazing Technicolor rein(deer)coat. .... fantastic! And you're indefatigable blogging is amazing, thank you for your very special and personal comment, you really are amazing yo make it around to comment on all of them. You're inspiring indeed. Thanks for sharing your inspiration, and your love too dear friend!! Hi Darnell! What a lovely set of cards! But I really adore that coat of many colors deer! Don't you just love when you try something and it totally works! Absolutely beautiful! Thanks for joining us at Retro Rubber! As I sign off, know I am singing the Coat of Many Colors song! Happy January! Your alkeyhall blending is just fab! Outstanding card! And what can I say about the reindeer...LOVE it! Darnell, love both of your cards, I especially love the deer with all the colors! Thanks you for playing along with Retro Rubber! Darnell, I am always looking around for inspiration, and you did a lovely job with the transformation of your reindeer! Thanks for playing along with Retro Rubber, come again soon!